I keep thinking about this sharp incisive book by Zumas. At first it was a bit frenetic, each chapter is told from a different point. They are short and concise, which had the advantage of keeping the storyline moving. But when you start to sink in, to harness that energy, you notice that it’s a puzzle to figure out the relationships between the cast of characters. There’s Ro and her students, with her desire for a child and the way she brings to life the subject of her biography. Susan who doesn’t know if she wants to leave her marriage, but who everyone thinks should be happy with the life she has created. Mattie, the teenager who has a relationship to both women, but can’t turn to them in her time of need. And lastly, the Mender, a woman who sees the world differently and who has ties to all of the characters. 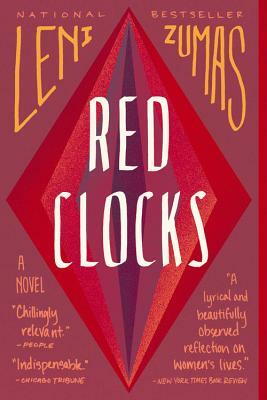 Zumas set her tale in a future world, that now seems utterly devastating and timely. Read this book and be part of the larger conversation, for it will still be sounding in your head after you manage to finally put it down.